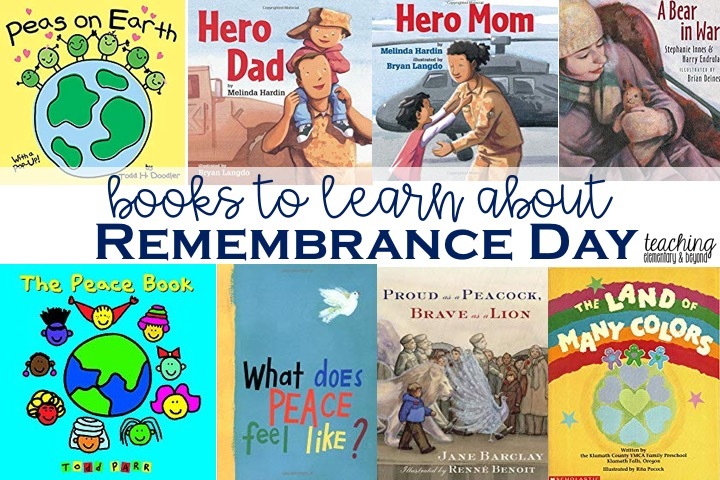 I have written about my favourite books that I have used over the years that I have found to be helpful when teaching children about Remembrance Day. It is not an easy topic to teach, but it is very important to learn our history and how others have sacrificed for us and our country. 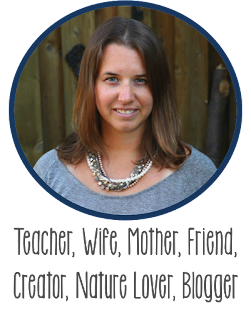 Please note there are affiliate links in this post. No pressure for sales, this is only included for your convenience. If you click on the image it will take you to Amazon and any purchases help me maintain my blog. This book explains the history behind the poppy. It uses simple wording and talks about past and present wars as well as peacekeeping missions that Canada has been and currently are involved in. Based upon true events, this book will soon be a Canadian classic. Told from the perspective of Teddy. Teddy is sent overseas by a daughter to her dad. who is a medic during World War I. The story is about the bears' journey through war and how it comes back alone to Canada. 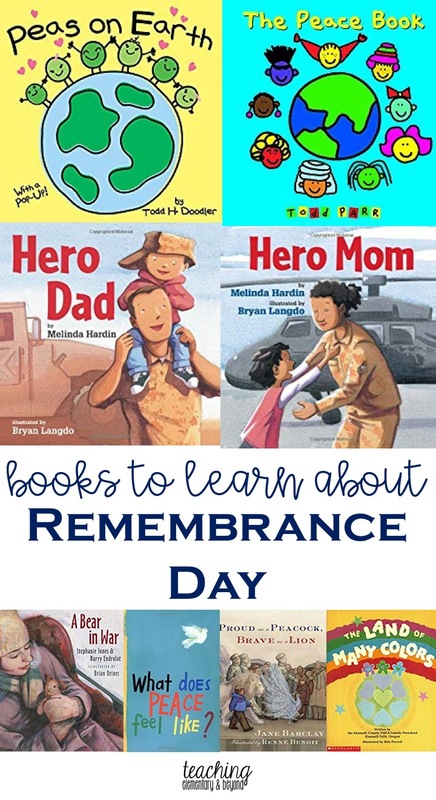 It is a great story to teach students about why we honour veterans for their service. This book teaches children about conflict through people who are portrayed by different colors of the rainbow. Each color thinks their color is the best and there is a theme of teasing due to these differences. A war breaks out and one small voice makes big difference. Children learn that what they do matters and that they can make a difference. This book was created as a compilation of many different children's idea of what peace means to them in relation to their five senses. Young children and older children will easily understand how everyone thinks differently and yet can relate to the same feeling. This is a great writing prompt for any age. Learning about war can be difficult for young children. This book uses animals and child friendly language which children can relate to in order to explain the different aspects of war. Topics do not go in depth but allow conversations to be started and directed by the adults reading the story. This book uses play on words that will entertain children and adults alike. Not only does it go into topics of peace, relationships, and friendship but it also discusses how we need to take care of the environment. This is a basic introduction to peace and what it means to get along with others from all around the world. This is a patriotic story about how a little American girl shares how her mom is a hero. She isn't a superhero, but she is amazing! This is another patriotic story about how a little American boy shares how his dad is a hero! In kid-friendly language, it explains life in the military from a child's perspective. I hope you find a helpful book looking at this collection of stories. 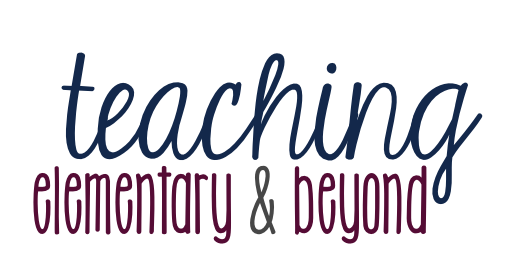 Want some free learning materials for your class? If you order before Halloween, Canadian Veteran Affairs will send you resources for Kindergarten to Grade 8 students. They are guaranteed to arrive before November 11th if ordered on time. Click here to go straight to their website!